Home » Broken Heart » Take Control of your Love Life – Unlock your Blocks Now! Take Control of your Love Life – Unlock your Blocks Now! Renée Piane here to inspire all you Wonder Woman you to take control of your own Love destiny and GET Ready for LOVE! So many from people who have had broken dreams…and stop believing in LOVE! 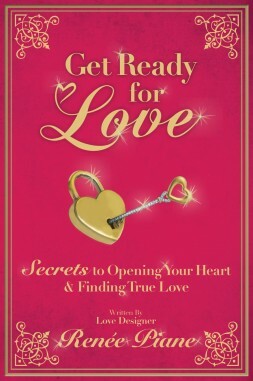 to unlock your heart to discover why you cant leave in! HOW?…get guidance from someone who can help! Let’s Create your Dream LOVE Story, not someday but…NOW! plan of action to Attract Your DREAM Relationship! I have successfully matched Thousands of couples now it is your turn! For all you Wonder Women who are READY for LOVE! Join me If ARE YOU…. • NEW in the DATING GAME? Suddenly SINGLE Again? • STILL Attracting the Wrong Men that do not commit? • Not Sure you Believe in LOVE? • Just getting back out there after a heartbreak & can’t move on. • In a relationship (for 6 months or more) and you can’t get a commitment? • Serious about finding Love but you are so busy? and a *FREE BONUS* 30 Minute session with Renée (value $100.00)ORDER Get GET TICKETS HERE! SPECIAL PRICE! Renée Piane (The Love Designer) is one of the kind. Renée did something better then “hook me up” she hooked me up and opened my mind, body and soul. After following all of Renée’s steps & rituals in her “Get Ready For Love” seminar, I met the most incredible man who agrees that we are soul mates. Renée Piane not only opens hearts she heals them. Anyone that has the privilege to know her and work with her, can expect epic and outstanding things to happen in their lives. My nickname for her is the love whisperer. I am grateful Renée is in my life and that I followed her priceless advice. Renée is a true relationship expert, love guru. I am humbled that I have the privilege and honor to call her a true friend. If you’re looking for love… you know who to call. Renée Piane, love is always in the air with Renée.